B.S. Man is what I'd call a failed version of Kamen Rider Agito. 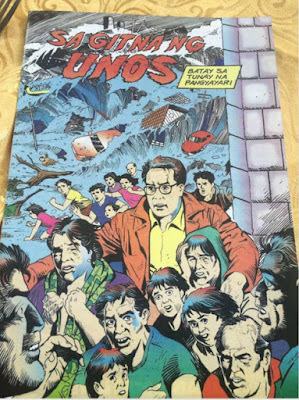 Its main character Nobita Nobino seeks to destroy the organization called Universal Karma. The Universal Karma's triumvirate is headed by the Overlord of Creation, the Overlord of Preservation and the Overlord of Destruction all acted by Rei Haneo who was the two Overlords in Agito. The fight against Universal Karma ends up in a tragic (for the main characters) but hilarious way to the audience. In the end, the fight against Universal Karma caused them to be reincarnated in ways they didn't want to be. Crisis is reincarnated as a female dog, Bummer is reincarnated as an ebola carrying monkey and B.S. Man is reincarnated as a sloth. As if Machine Man's failure wasn't enough we have Shippaiman. Osamu Sakuta plays as Manabu Rokuda a super hero wannabe. The situation is a dystopian Japan ruled by an incompetent prime minister. Since Prime Minister Nobita replaced everyone in the parliament with his allies he's been untouchable except for the fact his approval ratings drop like crazy. Shippaiman tries to be a superhero only to be thwarted by the superhero organization Winsbraindraft who exposes him for the fraud he really is. Later, a non-canon film called B.S. Man vs. Shippaiman: Continuous Disaster is released. Both Shojo Yonemura and Gen Urobuchi were tasked to co-write the film. The story takes place where B.S. 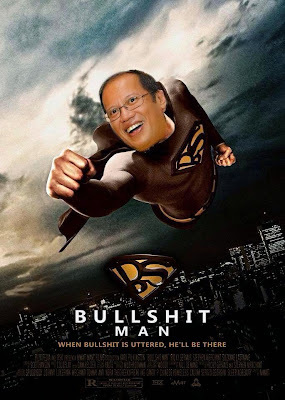 Man is the prime minister and Shippaiman is his sidekick. They both rule Japan with such incompetence that the cast of both Kamen Rider EX-AID and Kyuranger must cross dimensions to stop them. 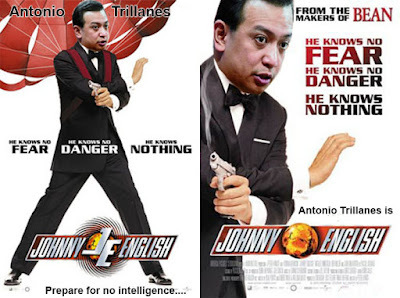 The story revolves around a Japanese version of Antonio Trillanes known as Akeko Teramoto. Japan has its new prime minister known as Ryouichi Douchi acted by Hiroshi Miyauchi. Nobita Arataki was removed from the Japanese parliament for incompetence allowing the competent Douchi to take power. Akeko gains the power to become Gohan Heishi after he accidentally ate some magical rice. It's up to the Douchi Administration to stop Gohan Heishi's ridiculous plans to overthrow the current administration. After Gohan Heishi ended as a mini-series all three failed superheroes appear in a future Super Hero Taisen movie. It's called Super Hero Taisen: Unbelievable Disaster. They appear there only for a short time as Don Armage's Death Star-like weapon obliterates them.